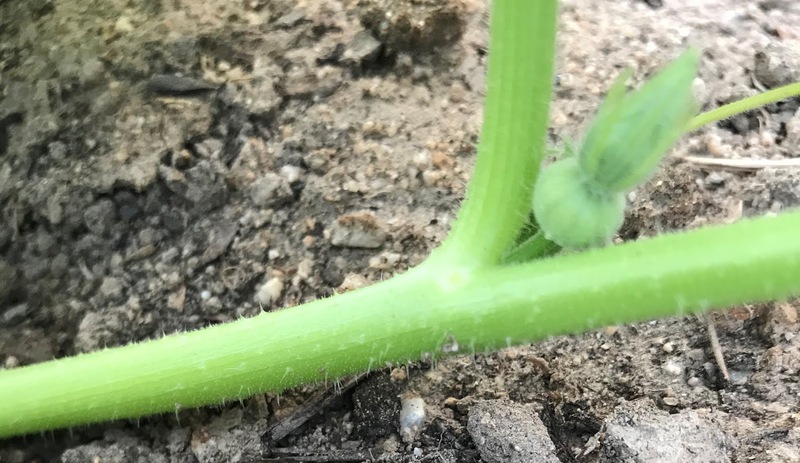 Maybelline's Garden: Pumpkin Thief - Meep Meep! Pumpkin Thief - Meep Meep! Cinderella pumpkins were nurtured from seeds sown during Memorial Day weekend 2018. 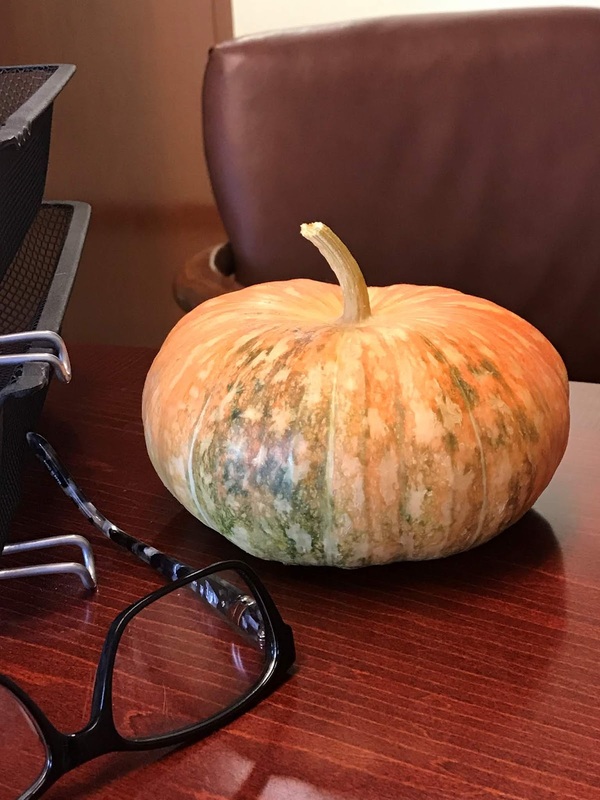 Young plants thrived well enough to enable me to share a few with some work associates for their young children to enjoy the process of growing their own pumpkins for Halloween. The balance of the plants went into the Pumpkin Patch - Bed #1. As the summer heat increased in intensity, sun umbrellas had to be installed to relieve the drooping leaves and encourage pollinators to enjoy the shade. 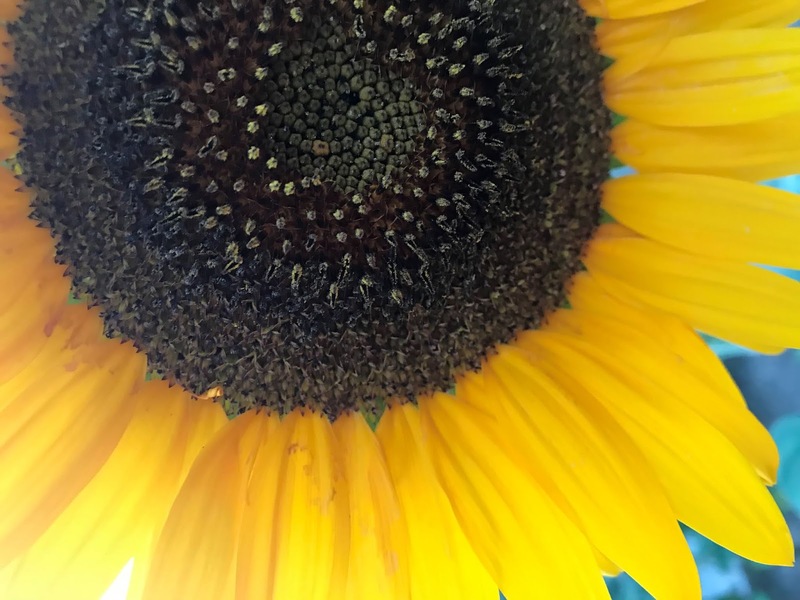 Sunflowers, zinnias, and morning glories for pollinators, people, and birds to enjoy. Sunflowers, zinnias, and morning glories were planted to encourage those pollinators to stick around awhile. Sunflower seeds are now drying for the birds to enjoy. Zinnia seeds have already started to germinate for one last blast before frost. Morning glory seeds are sprouting too but most will just be wildly sprouting in the spring. The pumpkin plants were blooming and producing many fruit throughout the summer. It was bound to be a bumper crop this year. But wait. Soon after fruit were about golf ball size, they disappeared. Did they wither from the heat? No. Did insects ravage them? No. How about some pest like a possum, raccoon, or rat? No evidence. The fruit simply disappeared without a trace. All that work all summer long only brought 4 pumpkins to maturity. FOUR?! Unacceptable. My work associates had experienced the same thing. This mysterious thief must be found. Time passed without a clue. The vines were withering. It was time to harvest and get that bed ready for winter veggies. Farmer MacGregor did the heavy work on 3 of the 4 beds then I smoothed and planted. It was still hot; so I was under the shade of the patio admiring all our hard work when a bird shwooshed in to the shade tree, dropped down to the lawn then jumped over the plum tree and into the former pumpkin patch. It looked around quickly sizing up the change of the place then jumped up on the fence and moved on to the neighbors' yard looking for groceries. The bird? It was a roadrunner! THIEF! Roadrunners are not new to Bakersfield. In fact, they are the mascot for the local university. They ARE rare in suburban neighborhoods - I thought. With this discovery, I went to the internet to learn more. These guys eat anything. Anything. 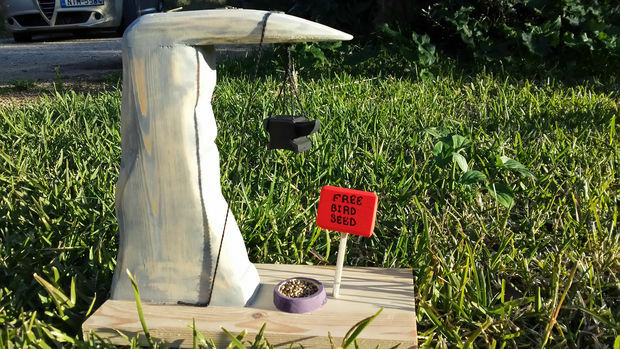 The internet also provided inspiration for a roadrunner feeding station that might help eradicate this problem in the future. How to buy world cup 2019 tickets? Check out this site & tell 2 friends. I'm in Bakersfield, California. Where in the world are you? Granny - Get Your eMail Here!